The Louisa Guinness Gallery works with today’s leading sculptors and painters to create jewellery and is the first gallery space dedicated exclusively to exhibiting artists commissioned to make jewellery pieces. Collaborating with jewellery designer Sian Evans we worked together on a series of earings, bracelets and a necklace based on vintage spectacle frames. Over the years of working with spectacles I have always been impressed by the diversity of elegant flowing shapes and forms of vintage frames. The starting point of the work was to focus on and emphasize the sculptural detailing of the carefully chosen frames. 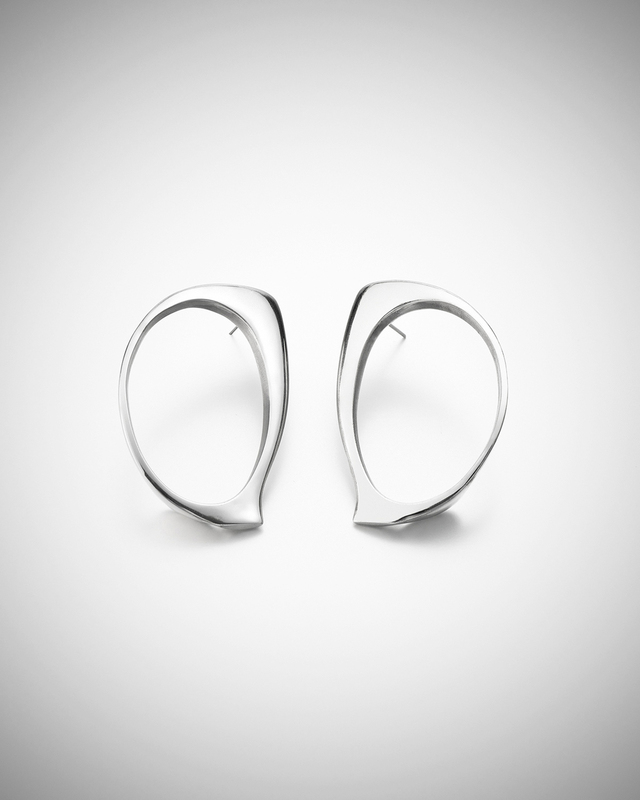 Normally associated with the eyes and nose of the human anatomy the spectacle inspired jewellery is incongruously repositioned on the ears, wrists and neck of the wearer. The spectacle frames become abstracted and metamorphose from a ‘tool for seeing’ to elegant misplaced embellishments on the human body. 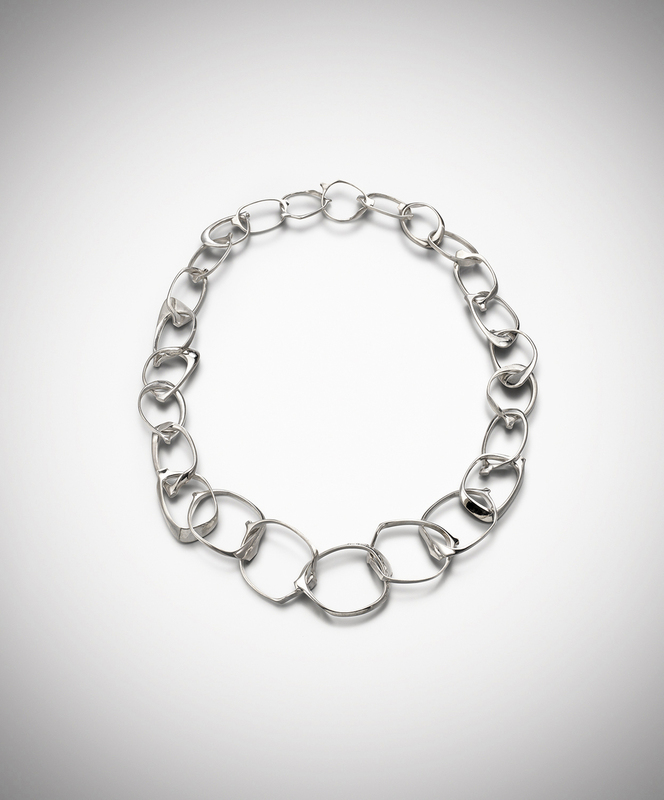 Material – Sterling Silver, signed & numbered.